Progressive compounders are achieving profitable growth by expanding into specialty niches with new offerings tailored to specific patient populations. 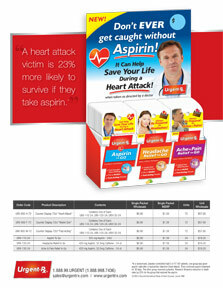 Aspirin to Go offers your customers a portable and fast acting 325mg aspirin dose to be used at the first sign of heart attack symptoms - potentially saving lives. 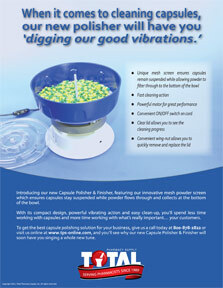 Capsule Polisher & Finisher by Total Pharmacy Supply, Inc.
Total Pharmacy Supply's compact Capsule Polisher & Finisher provides compounding pharmacists with an easy-to-use, powerful and efficient solution for cleaning and polishing capsules. 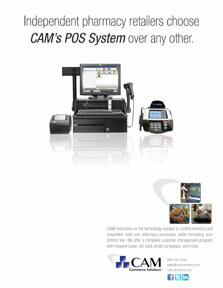 Integrated throughout the entire system, CAMPOS markets back to your customers, rewarding loyalty with the support of a robust CRM system. 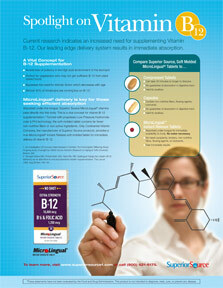 Our extensive line of MicroLingual® products dissolve under the tongue and are perfect for children, the elderly, bariatric patients and the 38% of Americans who hate to swallow pills. 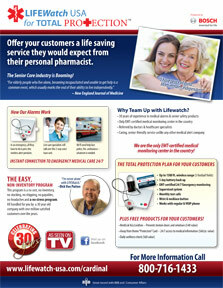 Earn $100 by referring clients who live alone or have family that live alone to Lifewatch. 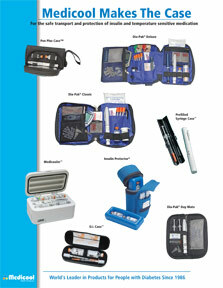 when traveling, by Medicool, Inc.
Diabetes products are still one of the fastest growing segments in retail pharmacy - Increase your front end sales profits with these items offering 50%-60% margins. 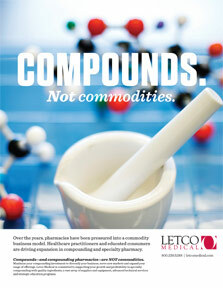 As compounding industry leaders, we are dedicated to provide the highest quality products and services. 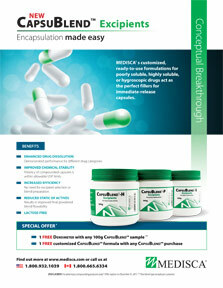 Our new conceptual breakthrough CapsuBlend™ Excipients demonstrates why our bases are the basis for success. 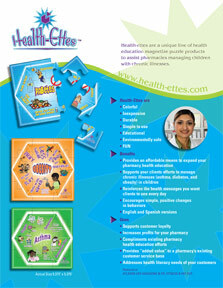 Health-ettes promotes education and helps set the precedent that the pharmacy cares about the community and encourages healthy choices in partnership with pharmaceutical line. 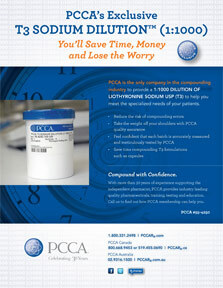 Using PCCA's T3 SODIUM DILUTION (1:1000) will save time and reduce risk of compounding errors. 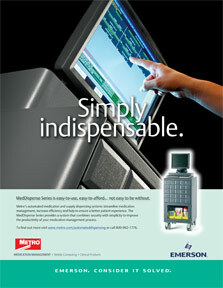 We can help you trim your budget without sacrificing quality. 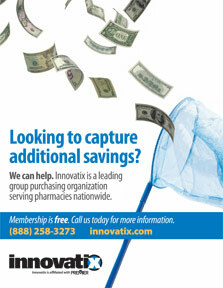 We're here to help you save on products and services for your entire business. 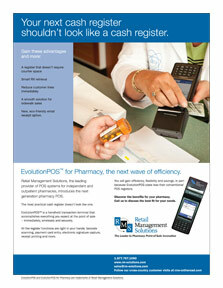 EvolutionPOS is the next-generation, portable point-of-sale system. 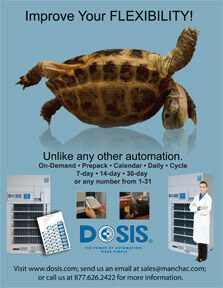 Its portability and affordability enable pharmacies to efficiently provide even more responsive customer service. 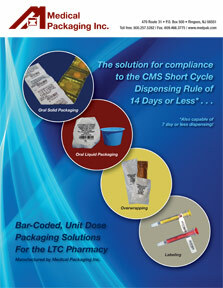 Providing cost-effective, compliant, bar-coded packaging solutions, assuring patient safety through precise dosing and ease of administration while reducing drug inventory costs and cart storage space in the LTC pharmacy. 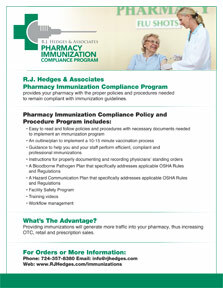 Immunization provision is becoming a standard practice that pharmacies need to perform in order to remain competitive. This program contains: policies, procedures to obtain physician standing orders and a customized bloodborne pathogen plan prepared specifically for each pharmacy. 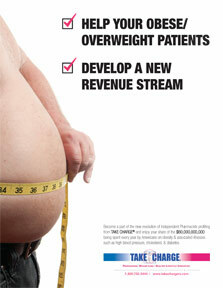 Earn minimum profit of $560 per patient by providing the TAKE CHARGE Lifestyle Modification program to patients whose health is compromised by being overweight/obese… focusing on type 2 diabetes, hyperlipidemia, hypertension and other CVDs. 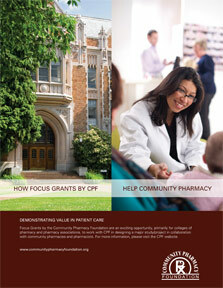 CPF Focus Grants support the collaboration between colleges of pharmacy, associations and community pharmacies to demonstrate the value pharmacists play in improving patient care. 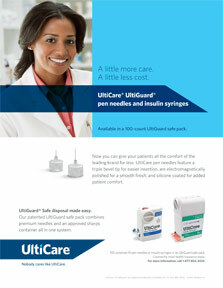 UltiCare® Premium Needles with the UltiGuard® Safe Pack by UltiMed, Inc.
UltiMed combines premium quality needles and an approved sharps container all in one system. 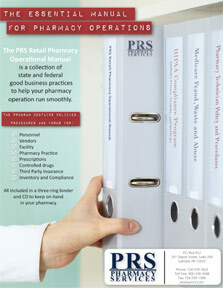 The Retail Pharmacy Operations Manual will save your pharmacy time and money by increasing operational efficiencies.